When teaching about history, maps are a necessary resource for both children and adults. Maps should be used any time a teacher talks about an unfamiliar area whether it be for a sermon, adult or children's Bible class. They help paint a picture of where in the world things really happened and the distances traveled. iBible gives a nice view of where people traveled, both Old and New Testaments. I have done a print-screen shot of a couple of them so you can get a good idea. You can see that sometimes they reference the journey in the map and sometimes they do it beside the map. You can always use the Bible overlays in the GloBible too. For the resource it provides, it is a very reasonable price at less than $40. I used this Bible many times during the week in my 7th/8th grade religion class. I've also found a resource that is more expensive (about $70), but is pretty cool. 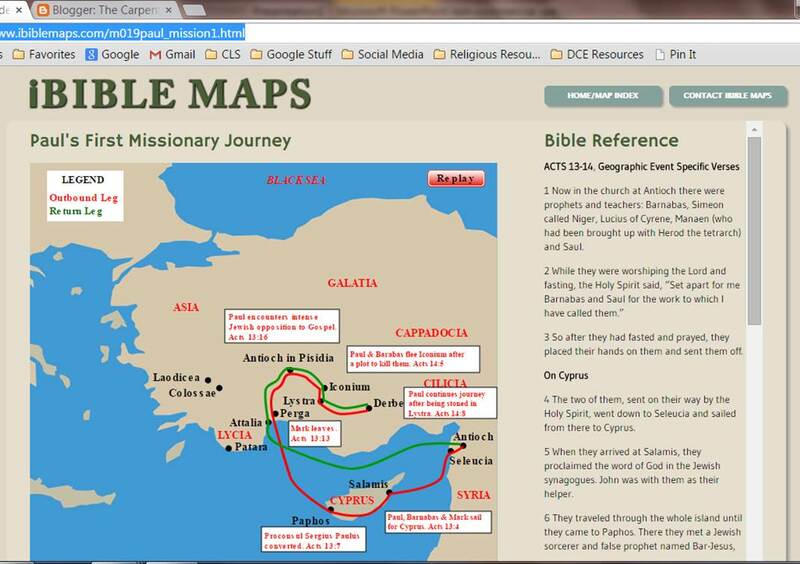 It's the Accordance Bible Atlas. Here's a video that helps understand what the software can do. Whatever resource you choose, please remember that we think in pictures, so I encourage you to use handouts to help students (both adults and children) connect what they see on the screen. 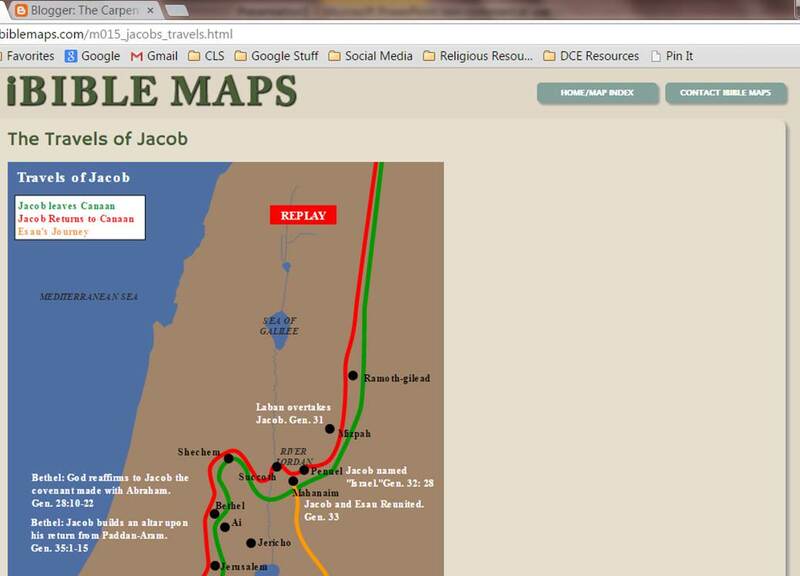 MAPS are fantastic resources for congregational education! Here are a few other sites that might be helpful when trying to paint a picture of Bible times. Check them out! Bible History Online - Ancient images that can be used for non-commercial purposes. This website is somewhat of a challenge to use. Free Bible Images - Images easily found in story line format. Visual Bible Alive - Images for non-commercial use are free.